One of my gripes about October is that the issues discussed are not confined to one month of the year. 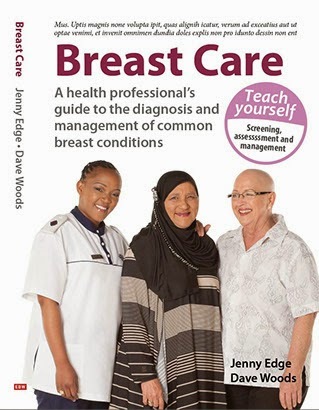 They are ongoing issues and my next heroes are the ever consistent local Reach to Recovery group who will visit any woman in Cape Town who has had breast cancer and are always available to discuss fears or share thoughts. October has meant I have had more contact with them and I know they will continue to be there for the other 11 months of the year. A big thank you. The PLWC photo exhibition was excellent. Sure, it did not give us facts and figures about issues facing women with breast problems in this country but it is a start. We must gather more information about the challenges of the silent majority of women in this country with breast cancer problems if we are to make a change. Lastly, my flop has to go to the group of women trying to popularise "mamming". In my opinion it is a bunch of people trying to invent something for the sake of it and not doing anything to improve the lot of survivors/imrove breast care. Who are your tops and flops for the month? Labels: Cancer alliance, october, PLWC, tops and flops.